Born at Portage la Prairie on 5 November 1892, daughter of Charles Garland and Martha Huston, at the age of 17 she was granted a permit to teach in a one-room school near Kelso, British Columbia where she had lived since 1900. That was the start of a long teaching career that ended in 1966. After receiving a BA degree from the University of Toronto in 1914 (she later received BEd and MEd degrees from the University of Manitoba), she taught at Treherne, Minnedosa and from 1919 to 1938, at Kelvin High School in Winnipeg where she taught Latin and History. In 1939, she became the Principal of the William Whyte School. After retirement in 1953, she taught at the Manitoba Teachers’ College from 1954 to 1966. She was the author of eight books, mainly history, including Adventures of England on Hudson Bay, Canada Then and Now, and Canada Our Country. She participated in educational radio and television programs. She was Past President of the Winnipeg Little Theatre, a founding member and Past President of the Manitoba Drama League, life member of the Manitoba Teachers’ Society, Past President of the Winnipeg Teachers Society, and First Chairman of the Women’s Committee of the Royal Winnipeg Ballet. She was also active in the Family Bureau, United Way, Age and Opportunity Bureau, Children’s Aid, Manitoba Historical Society, and Canadian Institute of International Relations. She received many honours. In 1964, she received an honourary doctorate from the University of Manitoba. 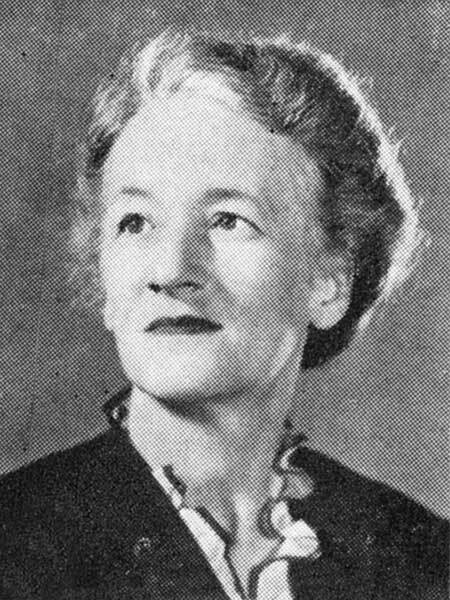 Others included the Good Citizenship Award (1973), a Manitoba Centennial Medal from the Manitoba Historical Society, awards from the Red River Historical Society and from the American Association for State and Local History, the Margaret McWilliams Award, and was one of the Women of the Year in 1954, selected by the Winnipeg Free Press. She died at Winnipeg, unmarried, on 13 February 1985. A collection of her research materials is held in the Aileen Garland Fonds at the University of Manitoba Archives & Special Collections.